Discover the secrets and secluded beaches of the Algarve on board one of our boats. 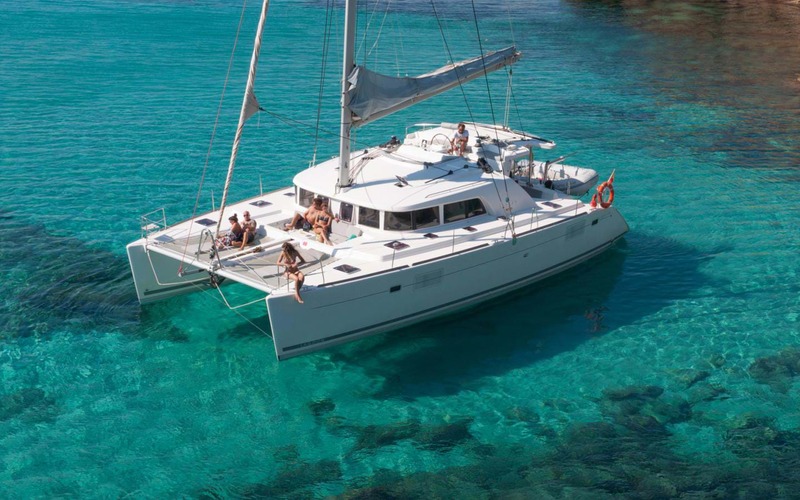 Southwest Charters provides you the opportunity to step on board of our Lagoon 440, one of the most popular cruising catamarans in the world and one of the most innovative as well. Have you met our Club offer? With a group of friends or with family, Dolphin watching is always an unforgettable experience. Caring for your boat should be a full time job. For us, it is. We will help you keep her in superb condition day after day, with a full valet inside and outside or just a quick checkover before you come down. calling all vessels... Want to own a beautiful boat, but feel it might be just a little expensive? Then this is the page for you. We can make your dream of owning a beautiful boat a reality and help reduce your costs significantly. Contact us for more information. "High light of the Holiday..."
We came to Portugal last year, with a group of 14 people and we hired out two boats for one full day, both the skippers were very help full. They took us to a private island for lunch and we did water sports and different activities that were great for all age levels. We actually contacted Southwest Charters with regards to power boat charter, as there were none available during our stay we instead chartered the Beneteau Oceanis 411 for a half day sailing trip, it was fantastic! Our crew were very friendly, happy to take us where we wanted and making us feel comfortable. We cant wait until next time were in lagos. "A great sailing day in the Algarve!" We cruised with SouthWest Charters out of Lagos to introduce our Grandson to sailing. We were both entertained by Gonzales and Rui and benefited from their obvious professionalism. We went sailing last year on a 42' Beneteau Oceanis 411 with Goncalo and Rui, company crew and had such a wonderful time, that we booked two days of sailing this trip. On the second day we actually sailed out to watch the historic intentional sinking of the “Comandante Hermenegildo Capelo” frigate. We then went to a lovely lagoon and had wine provided by Southwest, and a picnic lunch provided by Cascade Resort, where we were staying. I strongly recommend an outing with these two very experienced staff, even if you don't like a rugged sail, they can trim the boat to minimize the motion﻿. Southwest Charters is willing to provide their usual and new clients a affordable, hassle-free boating solution to enjoy the Algarve’s sea in style at the very best price. Either you are a skilled sailor, a water sports lover or if you just want to visit and see the Algarve coastline in fast and fun boats, Southwest Club will have the perfect solution for you.